South Summit High School senior Sara Peterson described her experience with the girls basketball team as a series of ups and downs. "It seems like every year we go way down, then we shoot up," the forward said. "It's so different every year." Last season, the Wildcats were 1-7 in Region 13. The season before that they went 8-1, but were knocked out of the Class 3A state playoffs in the first round by Enterprise. In 2015, they were 5-5. Coach Trevor Wagstaff said this season's team could have the best shot in recent years of reaching the 3A state championship. "This team is full of potential," he said. "Last year we struggled a little bit with the transition to 3A and we never had that belief that we were going to be really good. This team has the potential to be really good. It's just trying to make them believe they are really good." Peterson feels the same way. 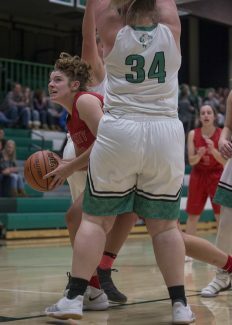 "We definitely are going to make it to state this year, because we haven't previously," she said. "I just think (this year) we work a lot better together." This season's team is led by senior point guard Grace Olsen, who Wagstaff said is leading both by example and by leading on the court. "She plays with an all-out, 110 percent mentality at all times," Wagstaff said. Wagstaff said Peterson and her fellow senior forwards, Emma Neff and Miranda Miles, are also influential on the court. 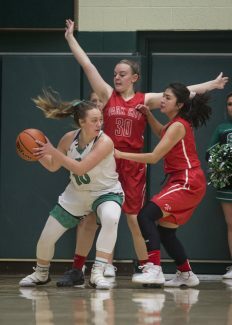 The team has three main returning starters in Olsen, who has played for the Wildcats' varsity team throughout her high school tenure, plus junior wing Bailee Crnich and junior forward Mariah Sargent, plus Neff and Peterson. "In two games we've started two different groups, and we are still in that learning process to see which groups are going to work best," Wagstaff said of his starting five. The team has started strong, defeating Tabiona 50-43 on Nov. 20 and Park City 49-40 on Tuesday at home. "It's been a good start," Wagstaff said. "It's always easier to learn lessons starting 2-0 than 0-2, but we're definitely not satisfied. We know we are capable of cleaner, better basketball and these girls want to be pushed." 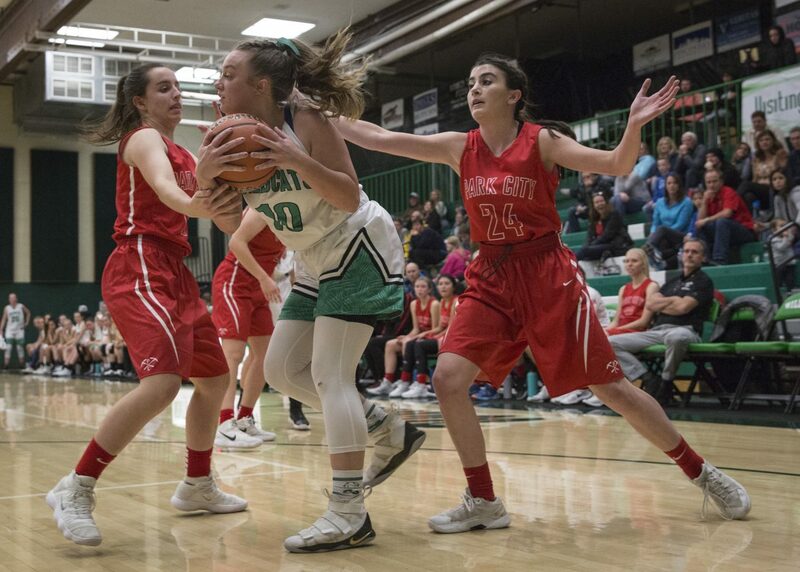 Park City and South Summit were tied at halftime, 18-18, then South Summit blew the game open in the third quarter, outscoring the Miners 21-7. "We finally settled down," Wagstaff said. "We finally moved the ball side to side and found some gaps, and then our pressure really stepped up in the third quarter as well and we got some easy points to extend our lead a little bit." Wagstaff said the team's third-quarter performance was indicative of its potential. "That felt right," he said. "That's what I expected from the start. I was a little frustrated, honestly, with the first half; that we didn't play the way I felt we should be." 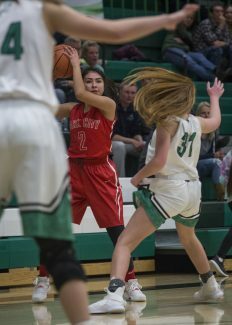 South Summit's lead peaked at 45-30 in the fourth quarter, before the Miners reined in the Wildcats offense. It wasn't enough, however, as South Summit came away with the nine-point win. Peterson and Miles led the Wildcats in scoring with eight points each, followed by freshman guard Reagan Sanderson with seven points. As for Park City, sophomore post player Ari Janssen led the team with seven points, followed by senior point guard Corrine Sullivan with six and senior forward Alex Springer with four. "It was a battle," Park City coach Brett Isaacson said. "They definitely showed improvement; cut our turnovers in half, which gave us a chance to win, but we just kind of had some breakdowns early in the third." He said the silver lining was still the Miners' tenacity when facing long scoring runs by the other team. "I loved, again, they got up to 17 and we battled back and got it down to single digits," he said. "Definitely some room to be optimistic. … But at some point we have to get over the hump, which we're getting to. We're getting there." 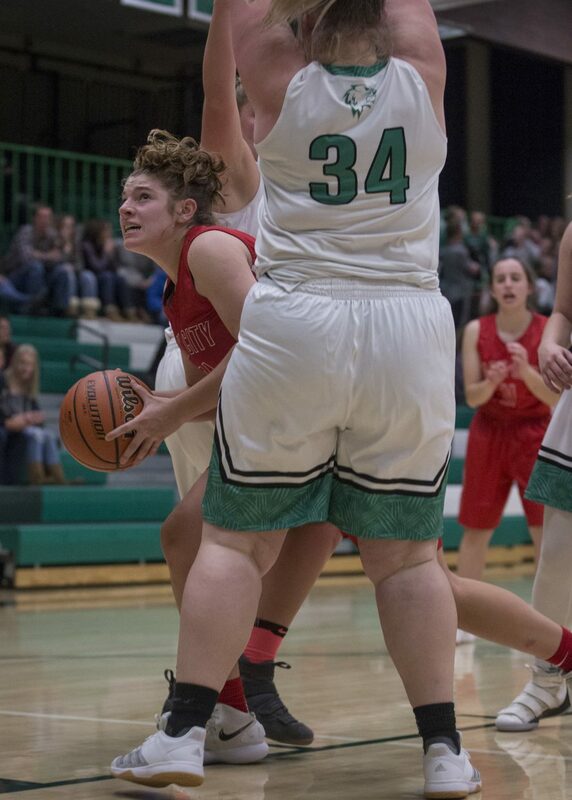 The Wildcats traveled to Price this weekend to play Grand County on Thursday, Carbon and Manti on Friday and San Juan on Saturday, then will returned home to play Millard on Tuesday at 7 p.m. The Miners will travel to Orem High School to tip off at 7 p.m. on Tuesday.